IN his continuing search for the more weird, wacky and wondrous in the world of travel, David Ellis says that most people ready to spend US$10,000 on a 20-day North Pacific cruise would expect rainbow coloured drinks by the pool, escargot and lobster at dinner, and chocolates on the pillow when they turn-in – not being told to help sift through thousands of tonnes of plastic rubbish. 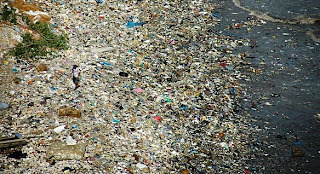 But fourteen "cruise-goers" will be doing the latter from Honolulu to Vancouver in July as part of a study of what ultimately happens to a vast mass of plastic from the size of soft-drink bottles to confetti that floats in the North Pacific Gyre – or more usually known as the "Great Pacific Garbage Patch." 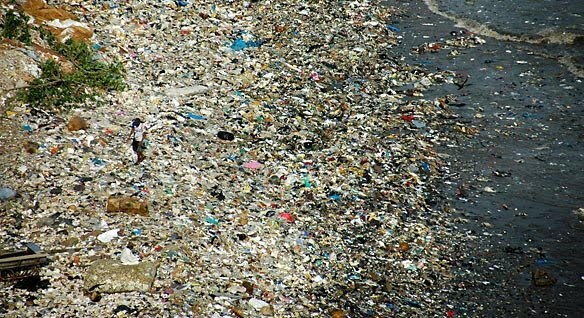 It's estimated to be twice the size of Texas, and is caused by a circular current of water sucking everything that's dumped into the North Pacific into one central point, where by agitation and inter-action it ultimately breaks down into confetti-size pieces floating around 5-metres below the surface. The fourteen "lucky cruisers" sailing on the 23-metre yacht Sea Dragon will collect samples that will be used in studies by the Algalita Marine Research Foundation in Long Beach, California. A spokesman said: "If this was some great island of garbage floating on the surface we could send ships in to scoop it up, remove and destroy it. But it's a thin soup of plastics just below the surface that can be quite thick in parts, while in others carry just a handful of plastic confetti in an area the size of a football field. "Most importantly we are trying to find out if fish eat this confetti can they absorb it harmlessly, does it pass through their bodies, or does it ultimately kill them? And what is it doing to the state of the ocean?" PS: for your $10,000 besides no cocktails by the pool and collecting garbage, you'll also be expected to help with the cooking, sail the ship and stand watch overnight.